Pistol of living room, which uses a system of percussion but of which I don’t see at all which could be the ammunition: self-propelled ball or combustible cartouche paper? - Mobile breech containing the tongue-rail of percussion; not to “drageoir”. - The breech comprises a male part which is embedded in a female part to ensure the sealing. 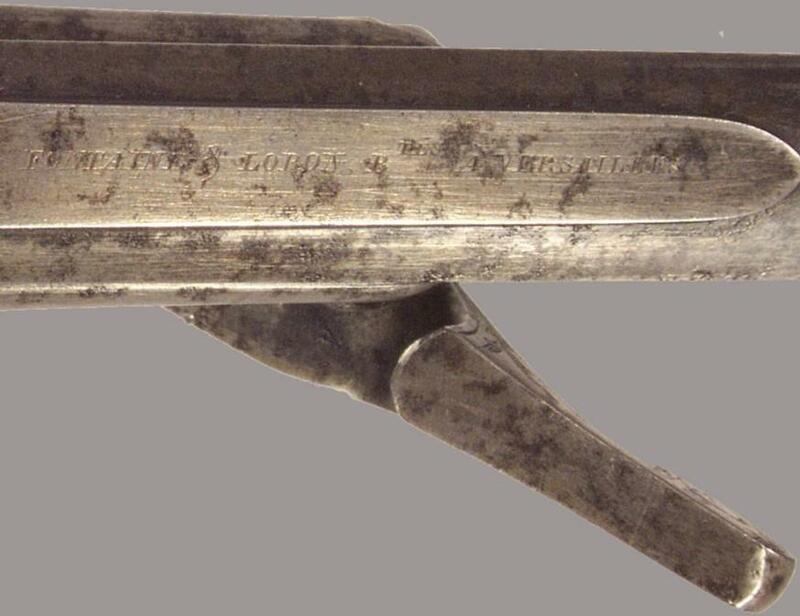 - No marking, except the n° 146 above the carcass and n° 1 on the breech and the lever of opening. 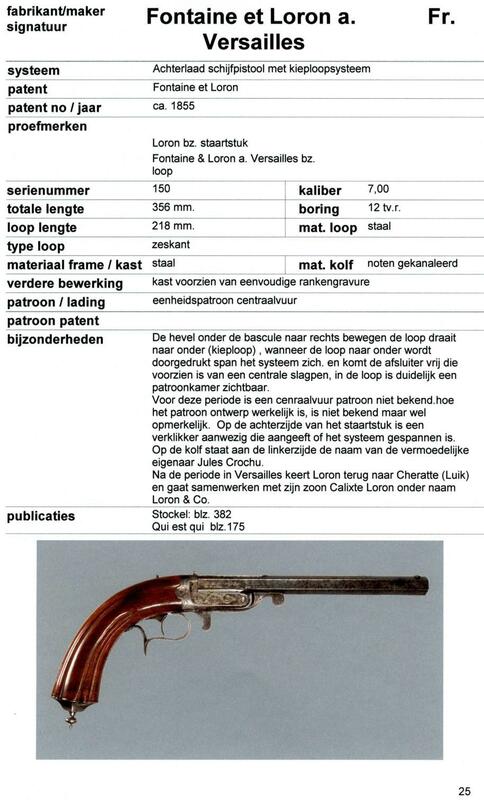 According to Aloyis, it is about a pistol patented by Loron and Fontaine in Versailles. Aloyis alas could not say some to us more. Mechanism: one pushes towards the line the key under the barrel, which makes it possible the barrel to rock and opens the door sealing the breech in which is the floating striker. By opening the weapon more, the door opens to introduce the ammunition while a hook arms the mechanism with percussion. There is an indicator of armed (on the specimen of Aloyis in any case) behind the tail with the barrel. Aloyis probably does not know with what the cartridge resembles, with central percussion. It does not have either any patent concerning this pistol. It mentions also a pistol-rifle of the same manufacturers Fontaine and Loron Bté in Versailles, in a slightly higher calibre (8 mm instead of 7 mm).